You had the idea, you drafted the business plan, you raised the cash, you launched your new venture and you became a success. But now you need to grow. 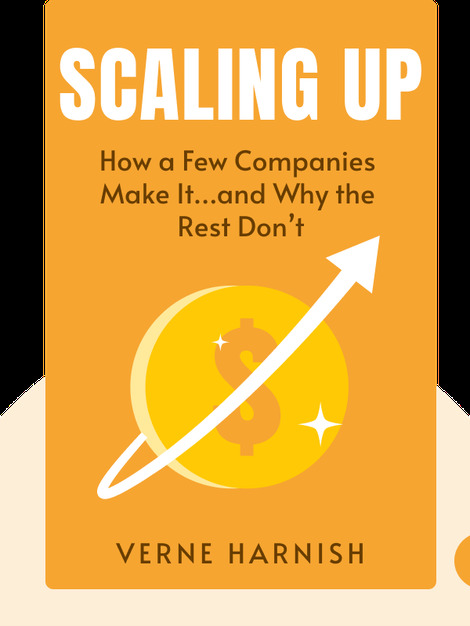 Scaling Up (2014) reveals the most useful tools for doing just that. Use the Scaling Up system of checklists, levers and priorities to establish a strong company culture as your business expands through the right strategic and financial decisions. 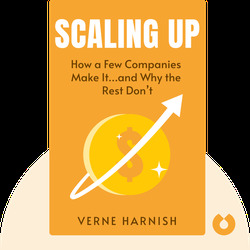 “Growth Guy” Verne Harnish is the founder of Gazelles, a global executive coaching enterprise, and a columnist for Fortune. He has shaped the way companies manage challenges in growth through his influential books The Greatest Business Decisions of All Time and Scaling Up, which is the first revised edition of his classic international hit, Mastering the Rockefeller Habits.